If you’re anything like me you probably go traveling with your backpack/suitcase half filled, making space for all the bargains you’ll buy on the road. I have boxes at home full of precious things I’ve found from markets around the world, ready to fill my future house with. I think items mean so much more when they have a story behind them, when they bring back memories of places you’ve been. I sometimes hold out on shopping, thinking that the next market in the next city or country will be better, only to look back and wish I knew the goldmine I was sitting on at the time. I don’t want you to make those same mistakes. 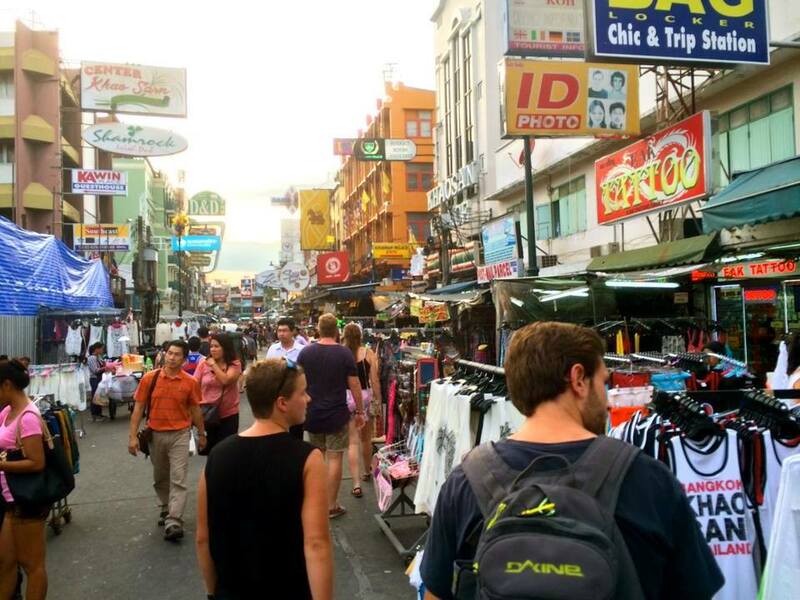 The best place to find these items would be in Phuket and Bangkok (particularly the notorious Khao San Road) in Thailand. The streets are lined with vendors selling Basketball Jerseys, Football Jerseys, Nike Joggers, Bikinis, Hand-Bags, Purses and Wallets, Sunglasses, Clothes and pretty much anything else you could imagine. If you are anything like me you want to find beautiful, hand-made pieces that are completely unique to anything you’d find at home. My idea of market heaven is vendors who sell cushion covers, table runners, vases, rugs, blankets and pretty much anything that is too big to fit in my bag but I buy anyways (whoops). I truly love the idea of filling my home with these extraordinary, cultural finds. 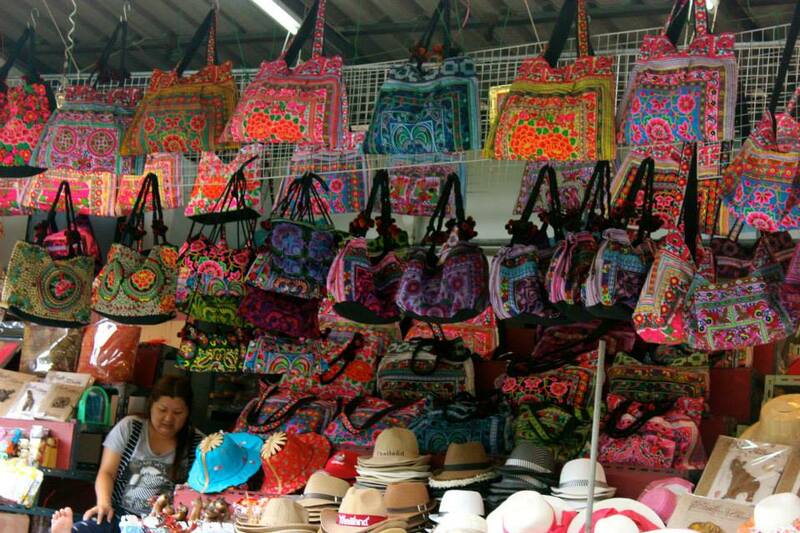 These markets is also where you’ll find unique and traditional pieces of clothing, handbags and jewellery. 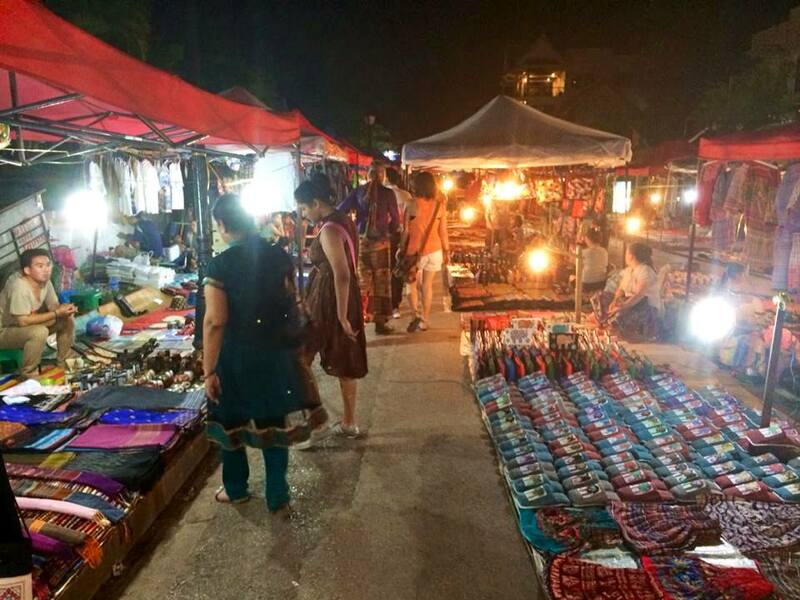 I thought the best markets for these items in South East Asia were found in Chiang Mai’s Night Baazar in Thailand, from the tribeswoman wandering around the rice fields in Sapa, Vietnam (small supplies but beautiful pieces) and the night markets in Luang Prabang, Laos. I’d also like to mention the floating markets in Bangkok. It’s very touristy and crowded but if you have the time I recommend a visit there. You are either going to love it or hate it, but we really enjoyed it. It’s a totally different experience from the rest of the markets. It’s a few hours drive out of Bangkok but we found a deal with a ‘travel agent’ on Khao San Road, Bangkok that cost less than $5 a person. We were picked up at 8am and driven for almost two hours before we arrived at the river. We then caught a long tail boat to the start of the markets. From there we could either walk around or hire a little boat to go through. We figured we were only here once and it was only $2 for the boat. We were so happy we chose this option. Whilst the only thing we purchased on the boat was some mango for breakfast it was a great experience. They sell everything from fruit, seafood, handbags, clothing- the list is endless. Though the items at this market were definitely pricier than other markets. Please ensure that you do barter with the vendors on prices. They will quote you a ridiculous price to begin with, pretty much try and barter it down to roughly 50% of their original quote, depending on how crazy their quote was. Be firm but nice with your bartering, have a joke around with them (the Thai especially have a great sense of humour). Don’t feel guilty over bartering, I promise you that they will not sell it to you if they won’t make money. If they won’t budge on a deal walk out of the store, more often than not they will chase after you and take your price. If not go to another vendor, you will almost always find the same piece elsewhere (or have a friend go in later and try their luck for you). One time whilst shopping in markets in Kenya I purchased a beautiful hand-made necklace for under $1. Two minutes later an American walked over and purchased the same necklace for $20. Not only are you ripping yourself off but you are making it impossible for everyone else to get a bargain by giving the vendors ridiculous expectations. These items are knock offs and the country is much cheaper than home, don’t forget. If you have time on your hands and you are keen for a serious shop I also recommend spending one day looking at all the vendors, comparing quality and their prices (they will almost always tell you how much something is the second they see your eye even glance at it) so you know exactly what you want and where you want to get it before you go in and spend time bartering. I hope this guide helps you in your market hunt around South East Asia! Over to you. Which of these markets were your favourites? Or what other markets should I add to the list? Luang Prabang, Laos: Everything To See And Do!